Club designer and former Australian amateur golf champ Thomas Crow founds a small golf club company, and names it Cobra Golf. Develops the "Baffler" - the first utility wood. It introduces a new category of clubs, plus sets the standard for future Cobra product development. The Baffler has a patented sole-plate design that's effective from various lies. Introduces the extended-length driver, a 46-inch driver with a graphite head and shaft. First U.S. club manufacturer to offer stock graphite-shafted woods and irons. Introduces the Lady Cobra and Senior line of woods and irons with superior game improvement graphite technology. Cobra introduces the autoclave system, which allowed graphite shafts to be strengthened through a proprietary compression-curing process and provided state-of-the-art technology to guarantee the highest quality. This is considered the single-biggest breakthrough in graphite shaft production in 20 years. "The Shark" signs an endorsement contract, and assists Crow in the development of Cobra's first line of forged irons. The company introduces the first full set of oversized irons. King Cobra oversize irons become the performance standard and golf's best-selling irons. Oversized irons represented a whole new club category. Thus, Cobra became synonymous with oversized irons. Fall, The most extensive line of new Cobra products ever is introduced, featuring the new King Cobra II Irons and Ti Offset woods. The King Cobra II irons feature an integrated Quad system which combines four distinct technological features: A new heel-weighting hosel, dual-purpose sole, reinforced shaft tip shape, and optimal progressive weight distribution system - all to create longer, more accurate shots. Fall, Cobra launches the Baffler LP fairway metal and a new Baffler utility metal. The Baffler LP combines the benefits of offset with the unique Baffler sole design and a sleek, shallow face profile. The Baffler utility wood, like the original, helps golfers get the ball out of fluffy lies, hard pan and buried lies. Designed by short-game guru Phil Rogers, the Trusty Rusty wedges launch. They're made of soft, unplated carbon steel, and feature a tri-bounce sole design characterized by the distinctive scallop in the back of the flange -- for versatility and feel. Fall, Backweight technology is the driving force behind the new Gravity Back drivers, fairway woods and irons. Weight is placed further back and lower in the clubhead, expanding the sweet spot and making it easier to get the ball airborne. The backweight technology also optimizes the club's Moment of Inertia, resulting in straighter, longer shots. Dista golf balls are introduced, maximizing distance for all players, in four models defined by swing speeds. Cobra unveils CXI irons, focused on the evolution of the sole design. Each iron has a variation on width, radius and camber, as well as an "X" reinforcement bar in the cavity that delivers feel and stability. Cobra launches the Airweight shaft, the industry's first iron graphite shaft weighing less than 50 grams. The company introduces Baffler Multi-Metal irons that are designed as hybrids, combining the best of long iron design with the best of higher-lofted fairway metals. The sleek progressive clubhead features strategic placement of copper tungsten sole weights and a bronze alloy backweight -- effectively positioning the center of gravity low and deep to promote a higher trajectory. Fall, King Cobra drivers and fairway metals are re-launched with the introduction of King Cobra SS ("Sweet Spot") driver and metals. The driver has a thin, hot oval beta titanium insert surrounded by an even thinner titanium ring, providing increased perimeter weighting for maximum COR values over 9 points across the face. The technology produces extra distance, more forgiveness, solid feel and a sweet sound. Cobra reaches No. 3 in the overall metals market share. Cobra releases the King Cobra SS oversize irons that feature an oversize cavity back, thin face and perimeter weighting for a superior sweet spot, greater distance and accuracy. The irons boast a cavity "muscle arch" for solid feel, along with a tungsten insert in the long irons for higher trajectory. A new skid sole design promotes solid contact from all lies. King Cobra Phil Rodgers wedges emerge, bearing the skid sole design and soft, unplated carbon steel. January, King Cobra SS 380 driver launches, capitalizing on the industry's larger clubhead trend. The SS 350 Tour also comes out, appealing to lower handicappers and broadening Cobra's appeal to consumers. Also in January the King Cobra SS-I irons are introduced. An improved design over previous SS irons, the irons incorporate new softer 431 alloy and new undercut cavity back design filled with urethane to enhance feel. M (muscle back) wedges hit the market, offering improved performance and feel. January, A new SS-i iron custom fitting program debuts to 500 on-course fitting accounts. King Cobra SS drivers are the No. 1-selling driver model in unit sales, for combined on-off course shops in May, June, July and August per Golf Datatech. September, Cobra Aussie Series putter line is introduced in eight models, each featuring a 17-4 steel body and milled 6061 soft alloy face insert for soft, solid feel, plus a high MOI. September, Cobra launches the SZ/JR junior set in two distinct sizes with age-appropriate shaft flex, clubhead weight and grip size. October, King Cobra SZ "Sweet Zone" drivers debut with expanded, hotter clubface, replacing the King Cobra SS with improved 9 hot points across the clubface for more carry distance and improved accuracy. November, King Cobra SZ fairway metals hit the market. They're larger in volume and face area, for more forgiveness. King Cobra SS-I irons are the top-selling iron model in unit sales in on-course pro shops, per the Golf Datatech 2003 national year-end report. April, the company launches King Cobra COMP 454, 414 and 414 Tour drivers that feature a lightweight carbon composite crown, in which weight's moved further low and back, head volume is increased for a higher MOI, and clubface area is increased to maximize COR over 9 points across the face. The COMP 454 and 414 also include the 45-gram Mitsubishi Rayon SL-45 shaft, the industry's lightest shaft, which increases swing speed for added carry distance. Early fall, King Cobra COMP fairway metals debut that are larger in volume and face area for greater distance, accuracy and forgiveness. Cobra launches the Baffler utility metals that are designed to provide the trajectory and distance of a fairway metal with the control of an iron. The unique contoured sole plate and low CG provide long, straight shots from any lie. The Cobra IM-01 and IM-02 Inner Mallet putters are introduced, featuring tungsten weight inserts to shift weight low and back for high MOI, and a unique design that focuses visual attention on the inner mallet. King Cobra Forged CB irons debut for accomplished players. Variable muscle arch promotes mid launch and controlled trajectory. October, Inertia Series irons come to market, designed with high inertia properties that promote a superior sweet zone and greater accuracy. The 3400I/XH, 3100 I/H and 2300 I/M feature distinct launch, Sweet Zone and workability characteristics for every player type. March, Cobra introduces the C-Wedge line, consisting of Mid-Sole (MS) and Wide-Sole (WS) options. The MS offers a balance of forgiveness, soft feel and versatility; WS has a wider sole for increased bounce and even more forgiveness. The King Cobra 460 SZ is added to the hot-selling SZ driver line, with the largest USGA-allowed clubhead volume (460cc) and is designed for all players seeking maximum distance, accuracy and forgiveness. November, King Cobra Speed Series debuts as the first driver line designed to optimize every player's unique ball speed for unmatched distance and accuracy. 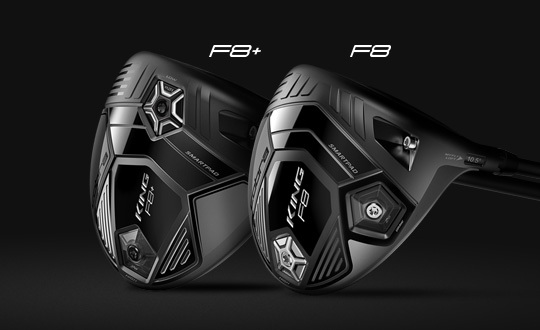 Three models (X for extreme ball speed players; F for fast; M for moderate) are each designed for distinct player types and their specific ball speeds. Three new King Cobra Baffler Utility Metals come out, including the Baffler 1/R and 6/R for men and seniors and 7/R for women. The King Cobra Baffler line is currently the No. 1-selling line of utility metals at on-course retailers and has held this position for the past five months, according to Golf Datatech. Cobra drivers rank No. 1 in Overall Driver Satisfaction Ratings in both 2003 and 2004, according to Darrell Survey U.S. Consumer Research, a leading independent golf consumer research company. Cobra announces Tour sponsorships of Geoff Ogilvy, Ian Poulter, J.B. Holmes, Camilo Villegas, Kevin Na and LPGA Tour player Jeong Jang. February, PGA Tour rookie J.B. Holmes wins FBR Open by seven strokes in his fourth event on Tour; 16 of his drives exceed 340 yards, including a long of 365 yards. Camilo Villegas finishes T2. February, Geoff Ogilvy wins WGC-Accenture Match Play Championship for his second Tour win, ousting six higher-ranked players, including four major champions. Optica SL debuts as the first putter using Fiber Optic Technology to help golfers align putts. It uses the exclusive TRUGLO Fiber Optic sight line. May, Cobra unveils the HS9 (High Speed across the Hotter 9 Points) Series drivers and fairways with carbon composition crown and sole integration, which raises the MOI. Like the Speed series, these are Speed Tuned to optimize players' unique ball speed, to further optimize distance, accuracy and forgiveness. June, Geoff Ogilvy captures the U.S. Open at Winged Foot, for his second victory of the season and first career major. He climbs from No. 50 in the world at the beginning of the season to No. 8. June, Jeong Jang wins the Wegmans LPGA, for her second career victory. August, Yielding accuracy, feel and forgiveness, King Cobra FP and King Cobra Carbon CB irons are introduced -- each designed for distinct player types, with specific technologies and key performance benefits. Cobra debuts the King Cobra Baffler DWS and King Cobra Baffler Pro that promote a fairway wood's high launch, forgiveness and distance, and an iron's playability and control. The Baffler DWS features a new Dual Weighting System, while the Baffler Pro is the first Baffler for accomplished players wanting a non-offset, versatile long-iron alternative. September, Ian Poulter cruises to his 7th career PGA European Tour title at the Madrid Open, wielding a King Cobra X-Speed driver and 3-wood, and King Cobra MB irons (3-PW). September, Fit to Speed custom golf club fitting system comes to market, designed to determine the accurate set composition for all golfers. This innovative process uses a player's ball speed to determine exactly which clubs create his or her ideal set make-up. October, Jeong Jang wins an impressive wire-to-wire victory at the Japan Women's Open. October, Kevin Na takes the Mark Christopher Charity Classic. November, Jason Zuback uses his Cobra driver to capture the 2006 RE/MAX World Long Drive Championship for a record fifth time. His winning blast travels 368 yards, 29", to edge runner-up and fellow Cobra Long Drive Team member Eric Lastowka (355 yards, 6") for the Open Division title. February, Cobra debuts King Cobra Speed LD and Speed Pro drivers and fairways. The high MOI drivers feature the largest face area available for maximum distance, accuracy and forgiveness. The Speed LD drivers feature the maximum USGA allowable club head length and width, and with a 5,000 inertia value, they have among the highest MOI of any all-titanium driver. 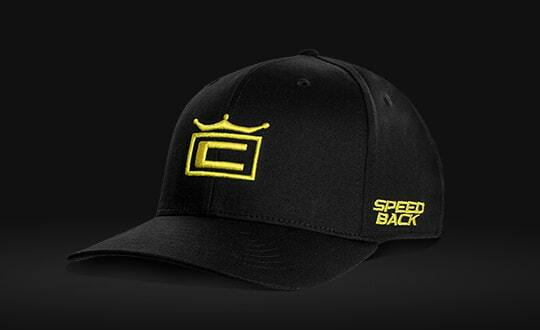 Speed Pro Drivers are the first designed and developed with feedback from Cobra's PGA Tour staff and are X/Speed Tuned for extreme ball-speed players. October, Camilo Villegas earns his first pro victory at the Coca-Cola Tokai Classic on the Japan Tour. October, Cobra introduces the King Cobra L4V driver. The name stands for Limit 4 Variables, as it's designed up to the limit of four USGA defined performance variables: Max COR (.830), max head dimensions (5"by <5"), max volume (460cc), and MOI. October, King Cobra UFi irons come out, designed by integrating multiple materials, such as an exclusive metal matrix face insert, patented polymer topline, high density tungsten heel-toe weighting and steel alloy body. October, Cobra launches the 2008 King Cobra Baffler DWS and Baffler Pro. The Baffler DWS has a higher MOI and lower-and-deeper CG than its predecessor, creating Cobra's most forgiving, longest-hitting utility metal ever. November, Cobra inks Jason Gore to an endorsement contract. February, J.B. Holmes captures his second FBR Open in three years, this time playing the King Cobra 454 Comp (7.5º) driver, Speed Pro 3- (13º) and 5- (18º) fairway metals and Pro CB (3-P) irons. February, The multi-material S9 Irons come to market with wide-sole, low-profile clubheads; three-piece polymer topline; and back cavity plate with urethane insert. February, King Cobra FP irons debut -- immediately 2008 Golf Digest Hot List award-winners -- with sleek head, mid-width sole, and undercut cavity. March, Cobra unveils the new Speed LD driver and fairway metals with Limit Dimension technology, offering a titanium driver that meets the USGA limit on clubhead length and width regulations, while the matching woods feature a deeper CG, shallow face and re-engineered clubhead shape. March, Geoff Ogilvy takes the WGC-CA Championship, playing the King Cobra Speed Pro D (9.5º) driver, X Speed (13º) fairway metal, new Pro MB (3-9) irons and a Pro CB 2-iron. March, Cobra announces the King Cobra Pro CB and King Cobra Pro MB irons, the first irons designed and developed with Cobra PGA Tour Staff feedback. They're made of soft, forged 1020 carbon steel. April, three Cobra products - the L4V driver, S9 irons and Pro CB irons - are Golf Magazine ClubTest winners, ranking the best in their three respective categories, more than any other club manufacturer. September, The 2009 King Cobra Transition-S integrated eight-club set hits the market, with increased forgiveness, better draw bias and improved accuracy. September, Camilo Villegas captures his first career PGA Tour title at the BMW Championship, playing a King Cobra L4V driver, King Cobra Speed LD fairway metals and King Cobra Pro CB irons. September, Camilo Villegas wins the TOUR Championship, just weeks after earning his first career PGA Tour victory. October, Cobra introduces the King Cobra L5V multi-material driver featuring the largest, most-forgiving clubface, plus innovative Adjustable Flight Technology and Speed Tuning. December, Geoff Ogilvy wins The Cadbury Schweppes Australian PGA Championship, using the King Cobra Speed Pro D driver, X Speed (13º) Fairway Metal, Pro CB 2-iron and Pro MB (3-9) irons. January, Geoff Ogilvy wins the first event of the 2009 PGA Tour season, the Mercedes-Benz Championship, playing the King Cobra S9-1 Pro D (9.5º) driver, King Cobra X-Speed (15º) fairway metal, Pro CB 2-iron and Pro MB (3-9) irons. January, Cobra launches the 2009 King Cobra S9-1 driver with improved "Hotter 9 Points" Technology and enhanced Frequency Tuning. It's offered in six Speed Tuned models. March, Geoff Ogilvy captures the WCG - Accenture Match Play Championship, for the second time in four years, playing the King Cobra S9-1 Pro D (10.5º) driver, New King Cobra S9-1 Pro (15º and 20º) fairway metals and King Cobra Pro MB (3-9) irons. March, 2009 King Cobra Baffler TWS launches with a Triple Weighting System that adds a third weight, for the optimal balance of higher MOI and lower CG. Its stainless steel clubhead has a laser-welded maraging steel face insert. March, Cobra unveils the 2009 King Cobra SZ "Sweet Zone" irons with low-profile clubheads, wide sole, and shortened hosel, translating into a low-and-back CG and maximum MOI. August, Cobra offers high-performance, game-enhancing Cobra S2 irons for avid golfers. The multiple-material irons feature a forgiving mid-width sole design. And for better players, the Cobra S2 Forged irons also debut, offering control, distance and forgiveness. October, The ZL "Zero Limits" driver debuts with Adjustable Flight Technology. It's billed as Cobra's most innovative, highest-performing driver ever, and features advanced multi-material construction. November, Ian Poulter wins the Barclays Singapore Open, playing the ZL driver (9.5º, neutral "N" position), and King Cobra Pro CB and MB irons. January, Cobra introduces S2 drivers and fairways that offer superior accuracy, distance and forgiveness, for all players. The titanium driver is adjustable and features a black Physical Vapor Deposition finish, 9 Point Face Technology, and traditional clubhead shape, and is available in an offset version as well. The S2 fairways have a thin, hot clubface and progressive sole design. February, Ian Poulter bests the field at the WGC-Accenture Match Play Championship and in doing so, moves into 5th in the Official World Golf Rankings, the highest position of his career. He's playing the ZL driver (9.5º, neutral "N" position), and King Cobra Pro CB (4-7) and MB (8-PW) irons. March, Camilo Villegas captures The Honda Classic, playing an S9-1 Pro S (10.5º) driver, Speed LD FST 3- and 5-woods, and Pro CB (5-PW) irons. March, The S2 Max iron and iron-hybrid integrated sets debut. The S2 Max features deep-faced, Baffler-style hybrids that provide proper distance gapping throughout the set. The irons in both sets are wide-sole, low-profile clubs that increase forgiveness and provide high launch. All of the clubs bear 9 Point Face Technology. April, Cobra introduces the sleek-looking, stainless steel Baffler Rail Hybrid featuring a thin, high-strength maraging steel clubface that's designed to increase ball speed, and combined with stronger lofts, bolster distance. It has a new four-way rail sole and 9 Point Face Technology, as well. April, PUMA AG purchases Cobra Golf, and creates a new company, COBRA-PUMA GOLF. The merger leverages PUMA Golf's footwear, apparel and accessories designs with Cobra Golf's advanced equipment and accessories.